Solid, compact and effective, the Force USA Arm Curl Attachment is strong enough for gym use, while designed to fit into any home. Featuring SteelForce™ Structural Integrity and heavy-duty, DuraCore™ high density foam padding wrapped in sewn rip-stop VorTex™ Upholstery, the Force USA Arm Curl Attachment is built to take a pounding. 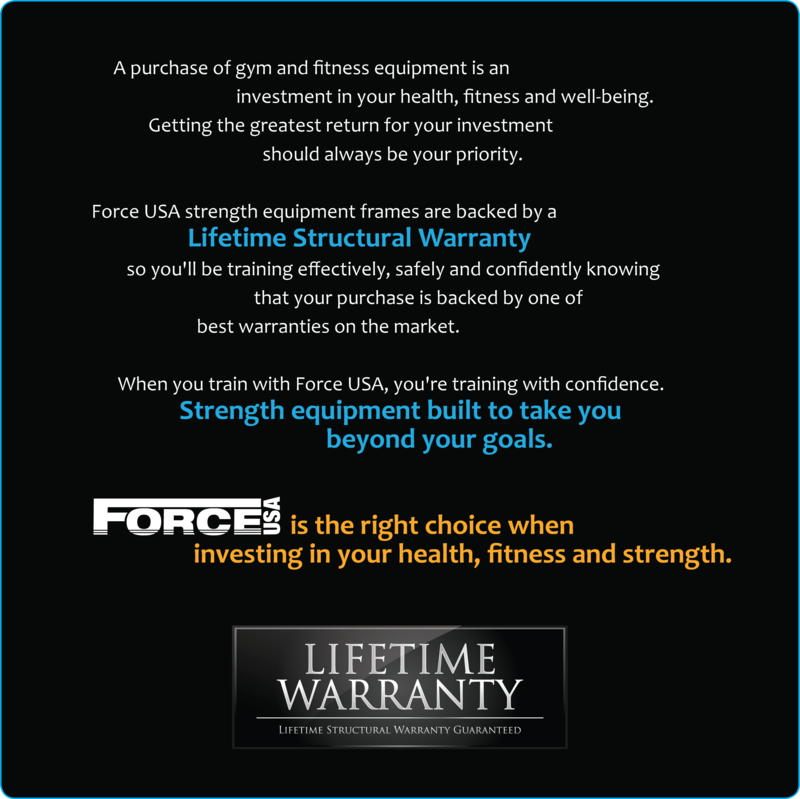 And, with an “Class A” rating, the Force USA Arm Curl Attachment comes with a Lifetime Structural Warranty. The Force USA Arm Curl Attachment is unmatched in its class and will give you solid and intense workouts for many years to come! The Force USA Arm Curl Attachment will help you build your arms with a huge range of exercises! The Force USA Arm Curl Attachment is a must have for any gym. The Force USA Arm Curl Attachment gives you great arms strength, ripped physique and powerful muscles. Adjustable height settings to accommodate different users height. Get a great workout with one of the strongest and most versatile Arm Curl Attachments available. From start to finish, gym and fitness was there to help with the product specs. Courteous, prompt and accurate with their responses. Most impressed with the service. The Product quality is well made and easy to assemble, prefect fit into the Streamline bench I had for many years. No regrets, I use this with my Force USA Flat/Incline/Decline bench and it works perfectly. Great team up Force USA and Gym and Fitness. Quality service: delivered quick and safe. Quality product: works well with my FID bench. Like other force USA equipment I own this is built solid and is sturdy. It's also comfortable to use. 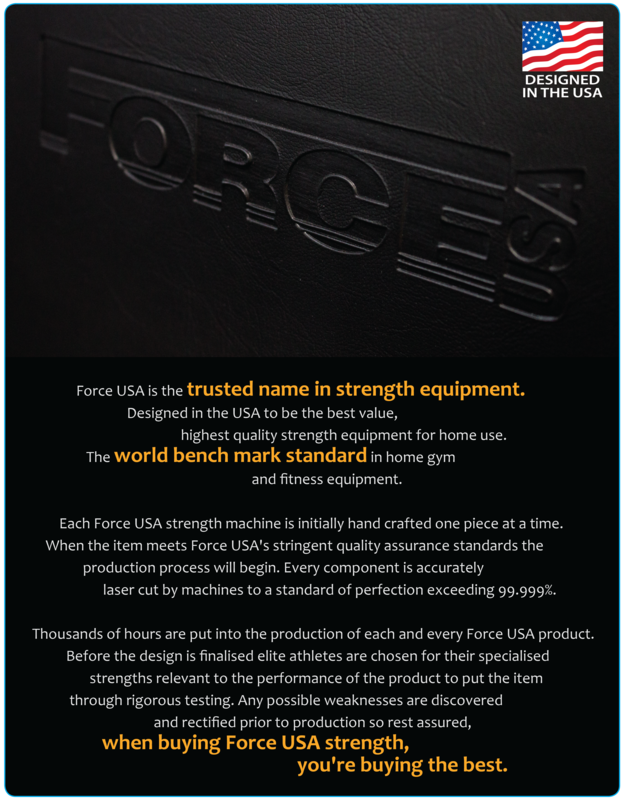 If you're thinking of getting some equipment, force USA make good stuff. I got this along with the leg attachment. Very happy with the quality of the foam and how sturdy the attachment is when curling. Have loaded an olympic bar with weight (45kg total), walked away for 5 and came back to it still supported perfectly by the bar rest. Locking and removing the attachment is quick and easy. Highly recommend.